The Summer Research Trainee Program (SRTP) was founded in 1992 to inspire motivated students who are underrepresented in medicine (URM) to consider careers in academic medicine. SRTP is sponsored by the MGH Center for Diversity and Inclusion. The goal of this program is to build a pipeline of college and medical school students underrepresented in medicine (URM) who are interested in academic biomedical research careers. Each summer, twenty students are selected from a nationwide competition to join SRTP. 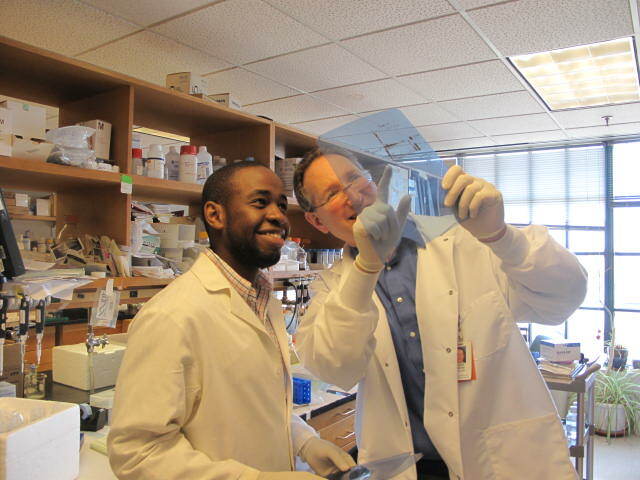 Each student is assigned to a specific MGH laboratory, clinical site, health policy, or health services research area where they undertake an original research project under the mentorship and guidance of a Mass General Hospital (MGH) investigator. Assignments are carefully considered and are made with the student’s research and career interests in mind. In addition to this unique research experience, students will gain knowledge through weekly didactic seminars, both at the MGH and at Harvard Medical School, attend career development workshops and networking event, and have opportunities for clinical shadowing. 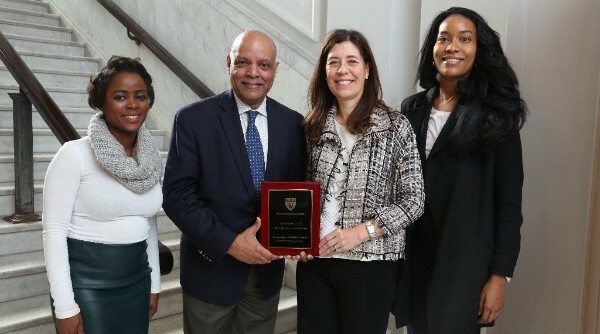 In 2017, SRTP received the Program Award for Culture of Excellence in Mentoring from Harvard Medical School (HMS). Elena B. Olson, JD, executive director of the CDI, and Winfred W. Williams Jr., MD, founding director of the CDI and associate chief of the Division of Nephrology, are the program leaders who accepted the award. The award recognizes departments, divisions, offices or programs for efforts to foster innovation and sustainability in mentoring while building a culture of excellence in mentoring. The award will provide an opportunity to learn from successful innovative mentoring programs and allow for others in the HMS community to learn from successful models.